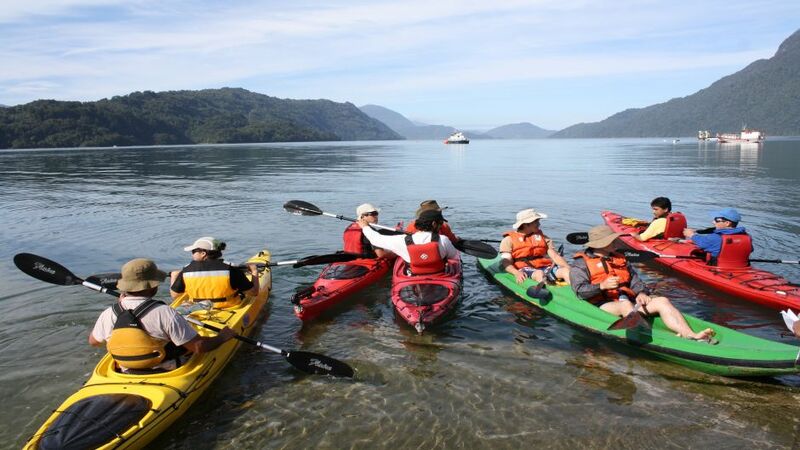 We transport them to our base in Ensenada where we loaded our kayaks equip and dispatch. 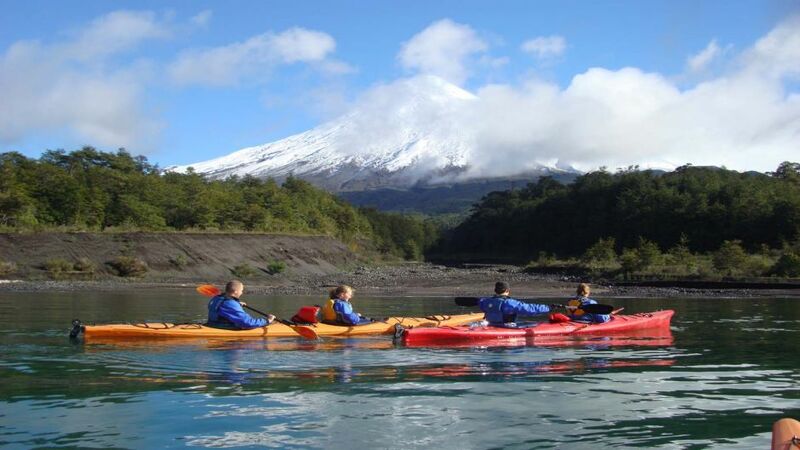 Help us in the current row through the 30 km of river, through incredibly beautiful landscapes of incredible beauty and incredible views of the Osorno volcano. Salmon accompanied paddled in the water and Kingfisher on the sides of the river.